Last week I was on a roll with dress making: I somewhat ignored the rest of my life and spent a few days in front of my sewing machine. This is the second dress that I made! I was really excited to experiment with collars. I just did a simple one for this dress. It took a lot of ironing to get it to fold down the right way. 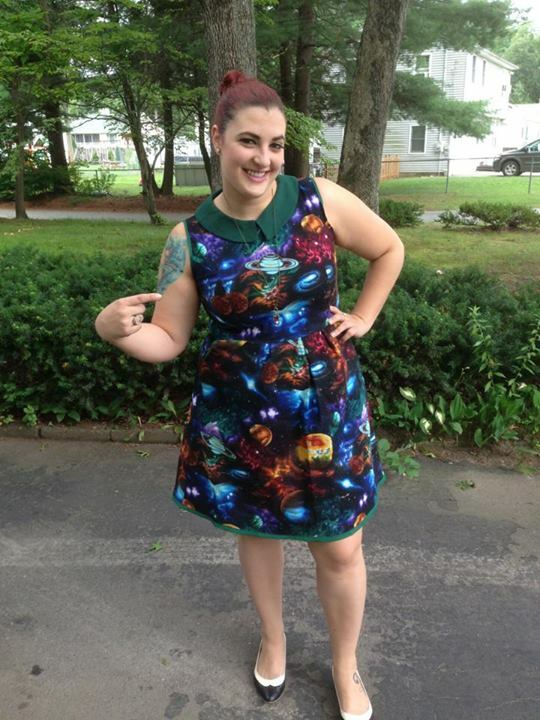 I wore this dress to the Planetarium on Saturday. It was nice to get a lot of compliments on it! I also made the dress slightly longer in the back. I don’t like wearing short dresses without tights, and since it is so hot outside, I really don’t want to wear any tights. I finished another dress after this one, and have two more fabrics that I want to sew a dress from. I need to get onto Spoonflower to order some new fabric, possibly custom fabric. If I don’t do it soon, I am going to run out of dresses to make! On a side note, I had “orientation” for my new school yesterday. It was probably the worst day ever, because it was a lot of stuff I have heard before. I was excited to go, only to figure out my classes and financial stuff. Turns out, none of my upper level physics courses like Analytical Mechanics, nor my math courses like Ordinary Differential Equations, transferred in as the correct class. You think that “Analytical Mechanics” would transfer in as the class that is offered at my new school that is called “Analytical Mechanics.” But no, I had to run around in the 90 degree weather (with ridiculous humidity) only to find out that no one was on campus that could help me. Also, the financial department gave me about 5 things to do before I can continue figure out anything there. I basically wasted a whole day, and I have so much to do at this point that that upset me very much. So, I went to bed at 8 pm and I feel way better this morning. Hopefully the rest of this week goes well! 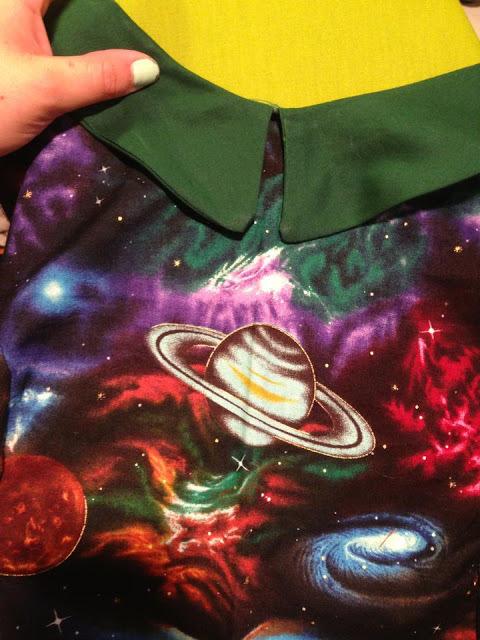 Anyone have any suggestions on what science “theme” I should look for on fabric for my next dress? Maybe volcanoes or dinosaurs?